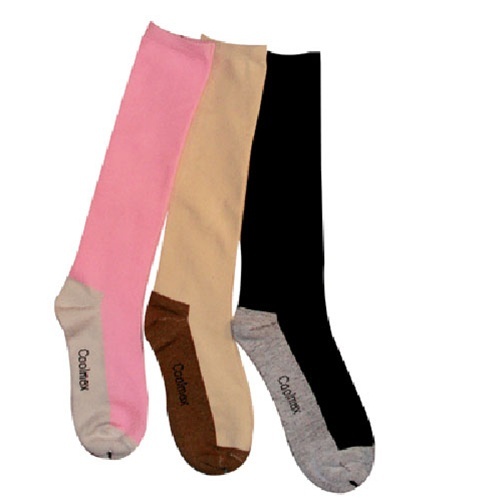 The Jacquard Horse Pattern Woven Socks are the perfect blend of fashion and function! These socks are fun intricately woven pattern and when paired up with your favorite paddock boots. And what better sock than a full knee high for wearing underneath your tall boots! The fabric keeps your feet at the perfect temperature no matter what the season. Made of 55% Polyester and 5% elastane. They are form-fitted with a ribbed cuff to keep them up. Micro-fiber leg helps wick away moisture.